It’s autumn! Time to give some extra attention to your lungs. You can do this via Pranayama (Kundalini Yoga breathing exercises) but don’t forget about the healing power of your food! 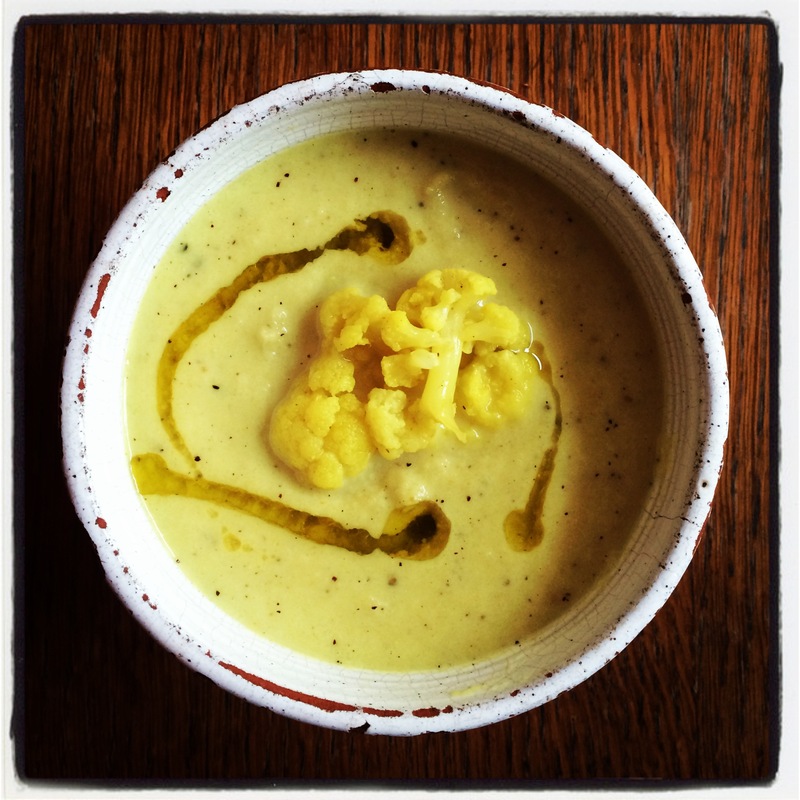 Let’s prepare a Autumn Soup that works like a healing medicine for your lungs. It’s ingredients like cauliflower, ginger, garlic, onion, coriander and curcuma strengthen the lung energy and thus relieves colds, inflammations and infections, low vitality and fatigue, astma and skin problems. Heat the oil, add the grounded spices & ginger and mix well. Add the onion until it’s glazed and then add garlic and curry paste. Keep stirring to release the aromas. Add the cauliflower parts to the spices, mix well. Add vegetable stock and bring to boil. Turn down the heat and leave the soup to simmer for 20 minutes. Take out a big portion of cauliflower and set aside. Add the cocunut milk to the soup and blend with an immersion blender. Be careful not to burn yourself! Then return to boil and add some salt and pepper if desired. Make sure the soup is nice and hot and then turn down the heat down and leave for just a little while before turning it off. Leave the soup for a few minutes before serving, this will improve the taste. Serve the soup in deep plates or bowls and garnish with some of the cauliflower you have set aside and top it of with some fresh coriander. Bless your food with three Sat Nams and enjoy! Keep your lungs healthy by doing the Kundalini Yoga Pranayama on our Practice Page.